Get Your Own Baler Installed Now! Have you considered the benefit of baling your waste? Are you out of space? Have you considered the economics of baling? We have installed more types of balers at more types of locations, for more types of applications than any other recycling company bar none. We can help you analyze your operation to determine if you should bale or not: labor, cost of baling wire, cost of electricity, freight savings, space savings, etc. 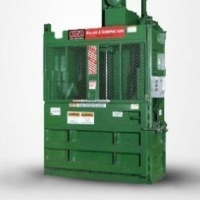 We can help you select the appropriate new or used baler. 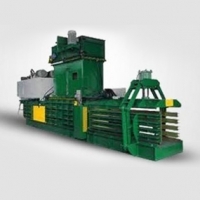 We can install a baler for you, in ground conveyor, above ground conveyor, structural foundations, etc. We can train your staff on operating your baler, provide safety training, confined space training, preventative maintenance, repair. 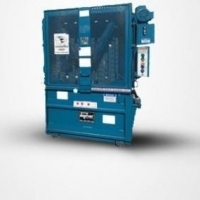 We can provide you with a rental baler, tell us your needs and we will have a machine delivered ASAP! We can place our staff on site to bale at your location: Solar Farms, Construction projects, Government contracts, site cleanup services, etc. We can set up a baler anywhere: We have become proficient at installing balers in every space, for every requirement, with every power source. Did you know it’s possible to run a baler off a generator? We do it all the time! Do you need assistance financing a Baler? We can Help! Do you want a used baler? We have them! Want to try a baler free for one month? Give us a call!